Effective from August 3, 2015, Father Muller Medical College and Hospital in Manglore, Karnataka has received the prestigious NABH accreditation. The hospital is already accredited by NABL for its laboratory services. Announcing the said accreditation, Fr Patrick Rodrigues, director of Father Muller Charitable Trust said that this comes after years of hard work and dedication put in by the hospital and its staff towards the accreditation. “We will make a concerted effort to keep up this achievement and even to improve on this,” he said. What has been most important is that it has streamlined most of the activities of medical college, hospital and laboratory of the Institution. “We hope to provide quality services not only to our patients but also our other important stake holder namely the students,” Fr Patrick said adding this is line with motto of the 135-year-old Institution – Heal and Comfort. 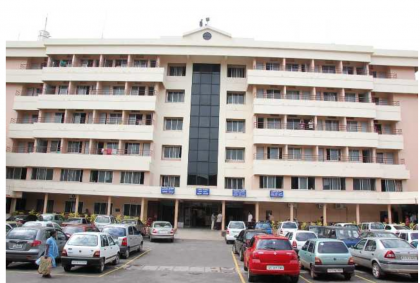 Other educational institution of FMCI namely Father Muller Homeopathy Medical College and Father Muller College of Nursing have been accredited with NAAC A grade while one of the other institution which is attached to Mangalore University – Father Muller College of Speech and Hearing is also accredited by NAAC. “We have one of the oldest hospital in this region with a turnover of over 1500 outpatients and 1000 inpatients every day,” Fr Patrick said. He also pointed out that the hospital maybe one of the first hospital having three accreditations from three prestigious bodies.